The proliferation of digital and social technologies empower today’s modern workforce to spread company updates online. Recent studies enumerate the fact that the ‘Rise of an Employee Marketer’ is evident in today’s digital world. Does employee advocacy play a pivotal role in marketing strategy? Do modern marketers consider employee advocacy as a new way of marketing? Are you harnessing the marketing potential of your trusted employees to improve your brand awareness? Today’s business reality is that disengaged employees are present in almost every organization. So, HR leaders are beginning to engage employees innovatively using collaboration and advocacy tools and technologies in today’s digital workplace. In my opinion, employee advocacy and employee engagement go hand-in-hand. Go ahead and define your engaged employees ‘What’s in it for me (WIFME)’ to adopt your employee advocacy program. Trust me; engaged and empowered employees show vested interests in your company’s growth. It is definitely an incredible opportunity for your organization to identify, nurture and train your employee brand advocates who are willing to evangelize the company’s brand online. So, implement an effective employee advocacy program is a great way to build a culture of engagement and sharing within your organization. Content shared by employees receives 8X more engagement than content shared by brand channels (Source: Social Media Today). The ‘Always-on’ content helps you to increase your social engagement of your content and advocates. So, don’t underestimate the united power of employees’ content amplification in today’s modern marketing world. Unleash the power of employee advocacy program to build an army of employee brand advocates who increase your brands’ social reach irrespective of how impressive your brands’ social media presence. The onus lies with the business leaders to explain the advocacy goals to every employee brand advocates without fail. Precisely, communicate ‘What is in it for me (WIFME)‘ value proposition to your engaged and trusted employee brand advocates. This, in turn, builds a trust among employee brand advocates to advocate on behalf of your brand online. It is imperative for organizations to show them openly that you are investing in their personal and professional development i.e. positioning your employee brand advocates as thought leaders and industry domain experts. Harness the power of employee advocacy to build a personal brand for your employee brand advocates. The research study reveals that employees have 10X more followers than brands’ social channels. Precisely, your employees have a great marketing potential to amplify your branded content. If employees amplify your content across their social channels, it is a great way to humanize your brand. This, in turn, can help you generate more brand awareness, wider reach, qualified web visits and inbound leads. Moreover, it builds consumer trust while giving a human touch to your brand. Empowering and encouraging your employee brand advocates through an effective employee advocacy program reveals them that you are investing in their personal and professional development. However, the onus lies currently with Marketing Line of Business (LoB) to share virally your branded content. It is invaluable to your business by giving them contextual content to share and amplify using their personal social channels. This, in turn, create wonderful opportunities to foster thought leadership using your content marketing efforts. The thought leadership content brings more qualified referrals and leads to your business. This is all possible by implementing an effective employee advocacy program. Trust becomes essential in today’s business and people trust only family, friends and peers at the time of purchasing. Your employees have a great marketing potential to amplify always on content that increases brand awareness of your organization online. According to a recent survey by Hinge Research Institute and Social Media Today, organizations with employee advocacy programs have seen increased brand visibility, improved brand recognition and better brand loyalty. Go ahead and unlock employees’ brand potential to boost your social brand reach in real-time. 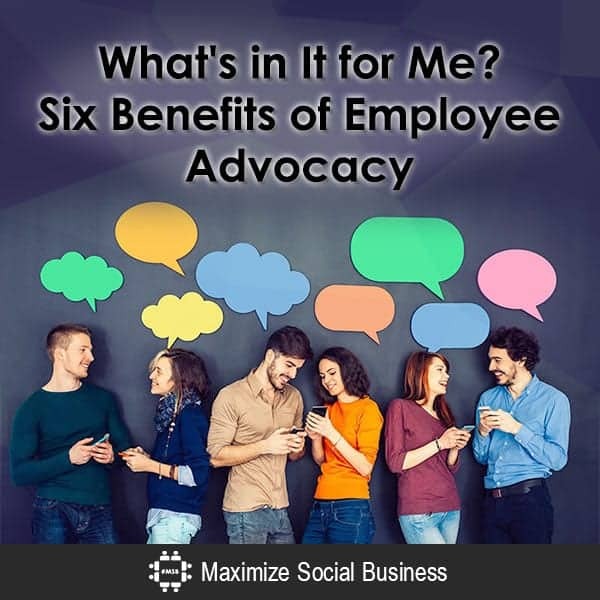 In a nutshell, educate the importance of employee advocacy programs and its benefits to your employee brand advocates. It is a win-win situation for both employees and organization to build their personal brand and company’s brand online. Dr. Venkatesh Raman is an expert on Employee Advocacy. Venkatesh is a competent technology marketing professional with hands-on experience in human capital management (HCM), marketing communication, community engagement, social media, content and product marketing across IT, Automotive & Pharmaceutical verticals. 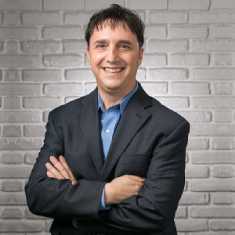 He is extremely passionate and knowledgeable about emerging technologies in Marketing and HR. Venkatesh is an experienced advocacy marketer, institutions branding enthusiast, and avid blogger on emerging technologies in HR and Marketing domain.